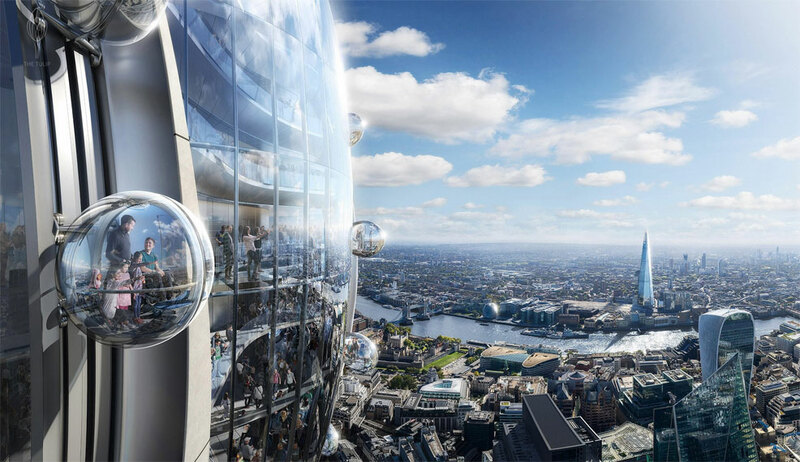 A new 305m (1,000 ft) observation tower will become the tallest structure in the City of London. Known as "The Tulip", it is designed by Foster + Partners, the same architects who conceived the neighbouring 30 St Mary Axe, or "Gherkin". The latter was built from 2001 to 2003 and kickstarted a wave of new skyscraper proposals in the British capital. Over the last 15 years, London has evolved from being a traditional and relatively low-rise city, into a showcase for the latest in high-tech, high-rise architecture. The evolution of the city's skyline has seen a variety of striking and futuristic landmarks appearing – from the electric razor-shaped Strata, to the so-called "Cheesegrater" at 122 Leadenhall Street, and the tallest of them all, the 95-storey Shard. The Tulip is the latest of these projects. Despite concerns about its potential impact on the historic setting of the nearby Tower of London, it was approved today by the city's planning and transportation committee in a vote of 18 to 7. If the scheme goes ahead, it will likely be completed in 2025. It is shown in the rendering here alongside 1 Undershaft (300m) and 100 Leadenhall (249m) – two other planned skyscrapers immediately to the left of the Gherkin – which are scheduled for 2026 and 2027, respectively. The design includes rotating pods on the exterior facade, providing visitors with amazing views. It also has strong environmental credentials – such as a 48% overall water reduction and 100% recycled water for irrigation; circular economy principles and 'zero waste to landfill' operations; energy efficient systems giving a 42% carbon saving; two "green walls" and a biodiverse roof garden; plus a car-free base, with 284 cycle parking spaces and enhancements to both the surrounding streetscape and the neighbouring Gherkin. The decision to grant planning permission follows a recommendation in the City planning officer's report, which noted the significant public socio-economic and cultural benefits for London. 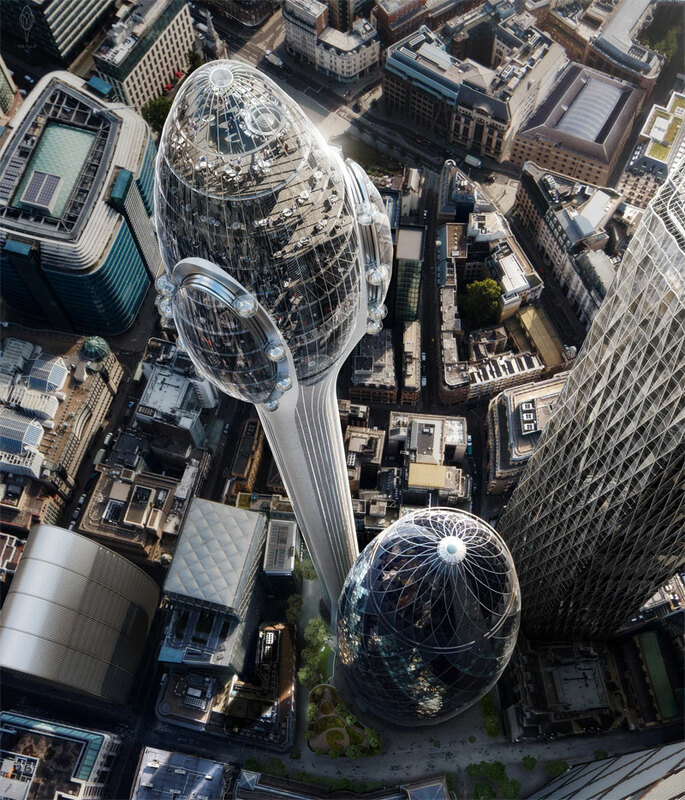 As part of the application process, The Tulip Project submitted an Economic Impact Assessment, which estimated that it would offer economic benefits to London of nearly £1 billion in total monetised value by 2045. Up to 1.2 million people would be expected to visit each year. In addition, around 600 permanent full-time jobs would be created during the first 20 years of operations. 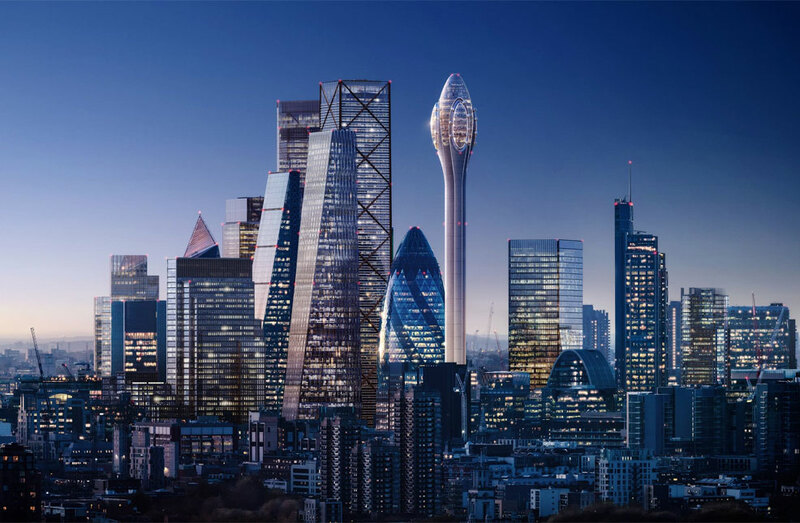 According to an independent representative poll of Londoners, conducted by ComRes, two-thirds of London adults (65%) think that The Tulip would be an attractive addition to the London skyline, while 69% believe that the proposed development would have a positive impact on "the City's attractiveness as a visitor and cultural destination." "Continuing the pioneering design of 30 St Mary Axe, the Tulip is in the spirit of London as a progressive, forward-thinking city," said Norman Foster, Founder and Executive Chairman of Foster + Partners. "It offers significant benefits to Londoners and visitors as a cultural and social landmark with unmatched educational resources for future generations."